I went down the Instagram rabbit hole today. I figured it was just time. Previously, I’d learned enough about it to be able to speak semi-intelligently about it if needed. However, I’d never felt the need to use it and its use never came up for a client. I never like being a late adopter, so today I dug into it. Using Instagram is pretty simple, really, particularly if you’re already a Facebook and/or Twitter user. If you think about mobile Facebook with only pictures, you’ll get Instagram. Take a picture, apply filters and frames to the picture if you choose, and then post it. You follow people and hope they follow you, and you can comment on each other’s photos. You can adjust your privacy settings so only your friends can see your pictures, or anyone can see them. Like Twitter, you can apply hashtags to photos so they can be categorized. Applying filters to semi-ordinary photos can, in some people’s opinion, make them look very cool. The service is integrated with Facebook and Twitter, which means in one fell swoop you can post a picture everywhere. There are definitely business applications. You can show your customers what goes on behind-the-scenes, and introduce them to your employees. Once you get a healthy following, you can ask your audience to pitch in with product pictures of their own. Photography enthusiasts seem to absolutely HATE Instagram. Most newer smartphones have higher quality cameras, but Instagram stores pictures in a lower quality format. Additionally, the filters are seen as gimmicky at best. The same privacy issues that exist on Facebook are present on Instagram. A LOT of younger kids use it. While searching for people to follow, I found no less than five of my 10-year-old’s friends on Instagram. Not one of them is technically old enough to be using the app. Regarding that last bullet above — it’s an interesting phenomena. The age limit for all major social media outlets is 13. Despite that, a surprising number of kids below that age are using Instagram. The reason, I’m told, is that parents don’t want their kids on Facebook. I’m the parent of two kids who are under 13, and neither of them are allowed to use any social media sites, but I’m not going to pretend to be a parenting expert so I’ll keep my opinions on that to myself. 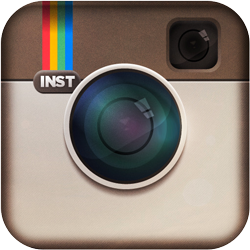 Do you use Instagram for personal or business reasons? Tell us why or why not in comments!